Novel Gel for hygienic hand cleaning without water. Eliminates bacteria, fungi and various viruses on the hand surface. Despite the presence of alcohol, it is possible to use very often thanks the use of nourishing ingredients. Confirmation of the extremely high efficiency by the Institute Hygiene Nord GmbH, Greifswald, Germany (DIN / EN / ISO 1500). The best test results of all desinfektionsgels (according Hygiene Nord GmbH). BAG (Federal Health Office) approved in Switzerland since July 2009. BAuA (Federal Institute for Occupational Safety and Health) approved in Germany since September 2009. Halamid is based on latent chlorine and oxygen. It is officially registered in conformity with the Dutch Biocide Regulation for use in the food-industry and healthcare. Halamid is available in 2.5 kg (for about 500 liters) or 5 kg (for about 1.000 liters) buckets. It is effective against bacteria, fungi and viruses. It has a very high percentage of stable and active substance. It is not aggressive towards metals and other materials (such as rubber, plastics, wood etc.). It does not attach to surfaces and is therefore easy to rinse. It solves easy in cold water (maximum concentration is 10% at a temperature of 15° C). In most cases 0,5 till 1,0% will be sufficient. Is ideal to clean the jars for the Anoxomat. Ready-to-use foam spray for rapid alcoholic disinfection even for sensitive surfaces in medical facilities. 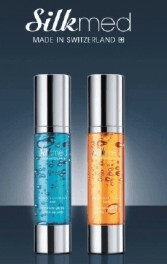 Broad spectrum of efficacy against bacteria (incl. tuberculosis), fungi, hepatitis B viruses (HBV), AIDS agents (HIV), rota viruses, vaccinia viruses, adeno viruses and papova viruses. For use on: metal, plastics, varnished surfaces (e.g. dental chairs), polycarbonate, polysulphon, acrylic glass, etc. Fast acting, ready-to-use surface disinfecting foam spray for medical equipment in accordance with the European Medical Device Directive (93/42/EEC). Ready-to-use foam spray. Spray surface from aprox. 30 cm distance (40 ml/m2), let product work in rapidly and wipe afterwards with a clean non-woven fleece. Or use product undiluted on a non-woven fleece, wipe the surface and let dry. The formula of the alcohol used in this disinfectant does not damage the Anoxomat jars.